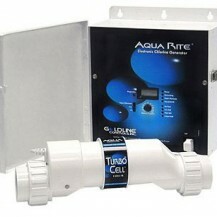 The Aqua Rite Electronic Chlorine Generator (also known as a salt chlorinator) is the best-selling system in the world. 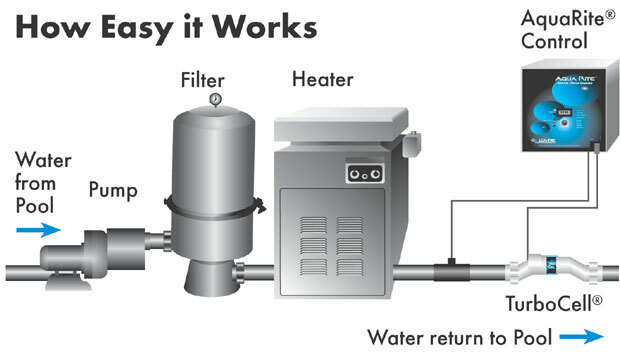 It automatically produces pure chlorine every day while the pool is being filtered and distributes it evenly throughout the pool via the return jets. The Aqua Rite uses a low concentration of salt dissolved in the pool water (below the level of taste) to maintain daily chlorine. 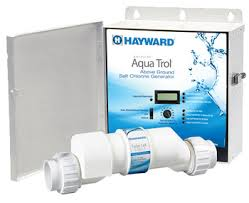 It is also NSF-certified and approved for use on commercial and public pools. 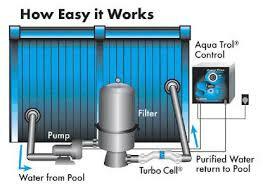 The Aqua Rite is easily installed in standard filtration systems, both in new construction and existing pools. AquaTrol is the affordable salt chlorine-generating solution for above-ground pools that saves you time and money while conveniently keeping your pool clean and safe.